It came as quite a shock to hear of the sudden death of Robin Williams. His body of work brought so much joy and entertainment to millions of people around the world, making it difficult to understand why he would choose to end his life. There’s no easy answer to that question, if there is an answer at all. 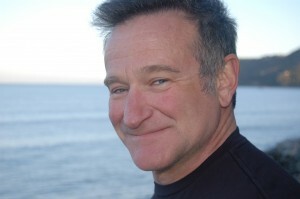 As tragic as his loss has been, a broader conversation has been started about mental health and suicide as well as substance abuse, a topic which Mr. Williams spoke about in interviews. Our hearts go out to the Williams family as they cope with their great loss. And a very big thank you to Robin Williams. Thank you for the laughs and joy and so much your life and spirit brought to us all. You were truly one of a kind and will be greatly missed. Awareness for these three causes are very similar in that they are a little different for both the person living with the issues and the people living around them. Like many other diseases, mental illness (depression especially) is an affliction that can be worked through with professional guidance and therapy along with the love, understanding and support of others. The difficult and puzzling part of that can be helping the person understand that there is help and hope to recover. That’s where awareness for those around them is important. Others can make themselves aware of resources that are available to help their loved one as well as gain a better understanding of how to support them through this time. Substance abuse is similar in that a person may not know they need help until the disease has taken hold of them for some time. But the same help, hope, love, support and understanding are important in getting to the road of recovery. However, in too many cases, suicide is what some choose as an escape when they feel they can no longer cope with a mental illness, substance abuse or other difficult life situation leading them to think there is no hope. The thought of suicide is unconscionable to most and is not easy to understand unless you’ve been to that place of hopelessness yourself. It’s heartbreaking to think anyone we love so much could feel so horribly alone. But there is help. And there is hope. That’s why awareness for these three causes is so critically important. While we here at SupportStore sell products to help promote awareness for mental health, substance abuse and suicide prevention, we’re dedicating this post in particular to draw attention and share information. First, if you need help, there is no shame in asking for it. Please call the National Suicide Prevention Line at 1-800-273-TALK (8255). For more information about mental illnesses, resources and support, please visit the NAMI – National Alliance on Mental Illness website. For additional resources on substance abuse recovery, please visit the SAMHSA website. Should you need items such as wristbands, ribbon magnets, lapel pins or more to help spread your message of support for mental illness, substance abuse and suicide prevention awareness, we hope you consider SupportStore’s product selection.